One of EDAA’s most active committees is the Retail Committee. Under the leadership of Committee Chair Megan McGowen-Crouch, the committee actively promotes retail development efforts throughout the state. The centerpiece of this Committee work is the annual EDAA Retail Committee Reception held each year at the International Council of Shopping Centers’ (ICSC) RECon Las Vegas. RECon boasts over 30,000 attendees and in excess of 1,000 exhibitors and offers the perfect environment for Alabama economic developers to interact with decision makers. The Retail Committee has witnessed phenomenal growth in recent years as economic developers have broadened the scope of their efforts to include the retail sector. This committee will continue to be a tremendous benefit to members working to integrate retail development into their traditional efforts to recruit manufacturing and commercial entities. This years Alabama Alliance Reception will be held on Sunday, May 21, 2017 at the Bellagio Monet 3 & Patio from 5:00 pm – 7:00 pm. For more information, please contact Savannah Wright at savannah@edaa.org or by calling 334.676.2085. 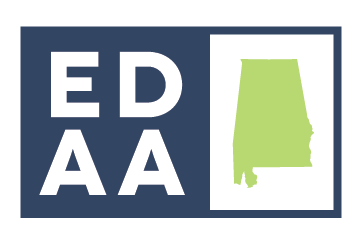 If you are interested in sponsoring this years Alabama Alliance Reception, please click here.